What shot do you play? 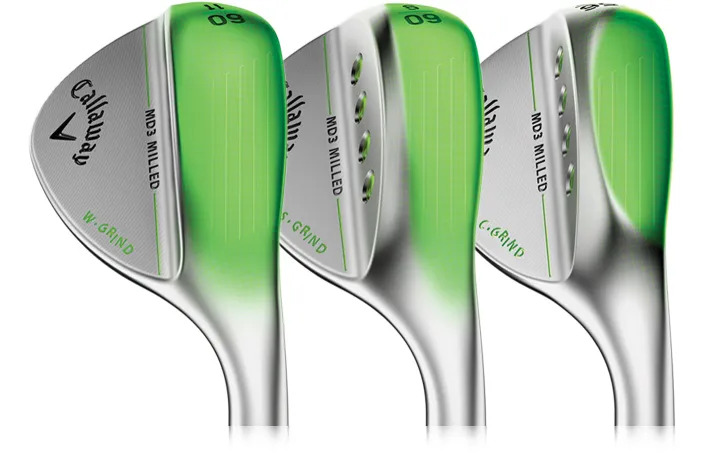 The Callaway MD3 Wedges have 3 groove formats to create spin from all over the face, whatever short-game shot you’re trying to play. They also have 3 different grinds for players who like to play different types of short-game shots. Which grind would fit you? We can help you think through a set of Wedges that allow you the options and variations to tackle any of the challenges you face. We also need to get the right lofts, set you in the right shafts, and remember your grip size materially impacts on your hand action.